I love this item . Very convenient! I also cook sausage patties in this product. Love my sausage egg cheese muffin. Very quick and easy egg meal with a fast clean-up. 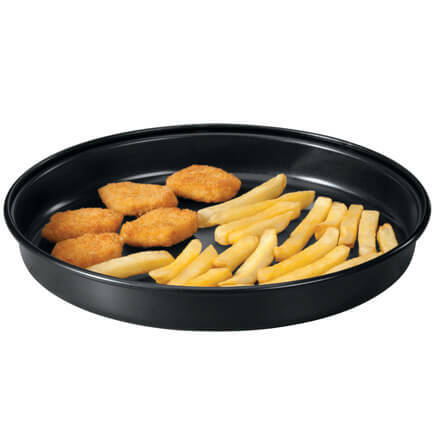 For food cooking in the microwave the food is very moist and tasty. I purchased this and loved it, but i ave it to my daughter an ordered another one for me. The shipping was very bad. The first time it shipped it was returned as undeliverable. It was shipped a second time and the package was destroyed but the inside was ok.
A friend used & had a good breakfast, so I found them here, got 2,as we have a winter home in the south & got some Canadian Bacon, cheese, egg , had good breakfast with little fuss. Even my Husband has used. It works great. Very handy. My husband is able to make his own "Breakfast Jack"
My husband uses it every day. It is used for eggs and various additions to them primarily at breakfast. Very simple and fast way to create different mixtures. My husband got this as a gift and he was thrilled. He is now able to diversify his breakfast choices. I must say it is so easy to use and fun. No need to buy breakfast sandwiches. Huge hit at our house! No need to order or rise before 10:30 to hit the breakfast menu. I use this to make eggs to go on my bagel. Perfect size, quick and easy to use. I use this almost every day to make my egg muffin. I bought this one as a gift. I got this item and thought I would try it and thought I would just end up with another gaget in the drawer WRONG!!!! 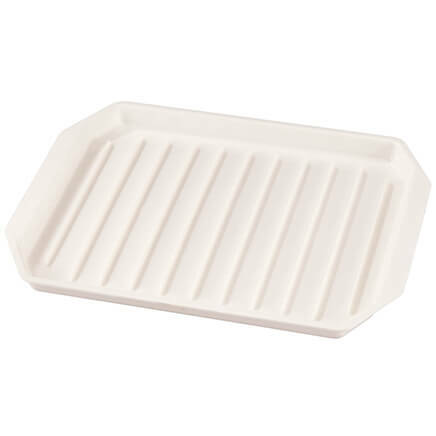 THIS REALLY WORKS and is worth every penny.The handle stays cool,great plus and the food actually is cooked.I did add a few more seconds to the time given and SUPER JOB!!!! !I can;t find anything wrong with it and I strongly reccomend this product,WELL worth the money.I have made scrambled eggs,plain egg muffin,sacuage muffin,cheese muffin,etc. peppers,onions.GREAT BUY. 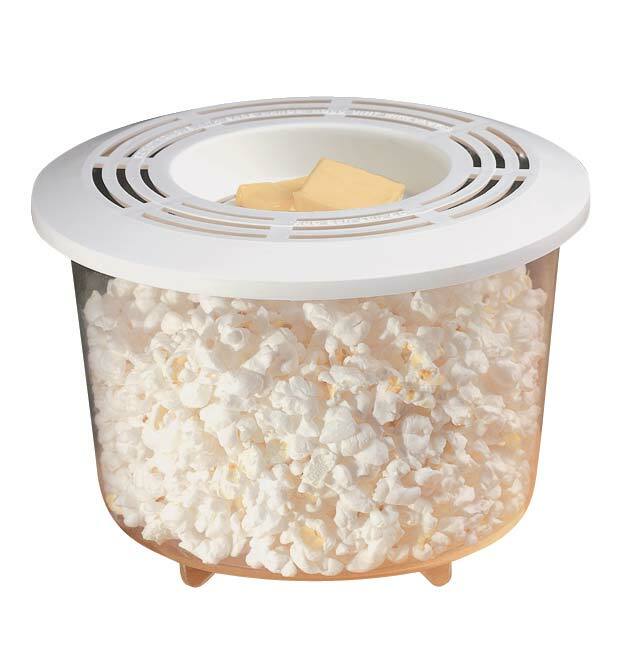 THIS IS A GREAT LITTLE KITCHEN ITEM. ONE MINUTE IN THE MICROWAVE AND YOU HAVE A ROUND SHAPED EGG TO PUT ON A MUFFIN. I USE IT SEVERAL TIMES A WEEK AND AM VERY PLEASED WITH THIS PRODUCT. I just order a second one!!!!! This is a quick and easy way to make a meal. My husband and I are enjoying our purchase. We use these to make an English muffin breakfast sandwich with scrambled egg. It does help to spray the bottom with Pam, or sometimes, if I am including bacon (I use turkey bacon) on my sandwich, I'll rub a piece in the bottom prior to adding the egg. I always enjoyed breakfast sandwiches from fast food restaurants, but have had to cut back on the fat and calories. This little device helps a lot. This product could not be any better!!! It does a great job at what it is supposed to do!!! This was a wonderful purchase. Bacon and cheese were added to the muffin to make it tasty. My husband loved it when I served it for Sunday breakfast. Great when theres no time for a big breakfast. Makes a great egg sandwich for lunch or quick supper. I love this cooker, I bought two. They save me money when I can make my own muffin and I add cheese to the egg. This item is so great,that I ordered one for other family members. All you have to do is to make sure that you have English Muffins on hand, so the kids coming home from school can make their own. I use this every morning to make egg beater breakfast sandwiches with a wedge of Laughing Cow cheese. When served on the sandwich or bagel thins I have a tasty breakfast for under 200 calories. Love it, Because our micro is hot, 46 seconds is perfect. I cracked an egg in it, poked the yoke with ice pick or toothpick, cooked it and had an over easy egg. My husband uses it everyday with bacon cumbled in it. I put cheese on top and it comes out cooked all through the egg like an omelet. I will give as gifts. Quick, easy and perfect every time...makes wonderful bacon and egg on a bun sandwich in minutes. All good, no problems yet! I was a bit apprehensive about purchasing another microwave egg cooker, but I was pleasantly surprised with this product! This is quick and easy to use and clean up! I have gotten perfect eggs every time! I did find that the egg stuck a little at first, so I just rub some butter in the bottom before I add the egg and have no problems. I also add a little bit of precooked bacon bits to the egg before cooking and it makes a light fluffy egg sandwich. PERFECT for breakfast on the go!! I recommend it for anyone - in fact, it would make the perfect gift for the college student or for elderly parents. I use the southwestern egg scrambles. It has peppers and other good stuff in it. I cook a few sausage links and cut up and put in with the eggs. Sometimes it takes a few more seconds to get done. I use english muffins to put mine on, i often put on a piece of cheese, after the egg is done. This egg cooker is so great, I do not have to pull out my frying pot any more. Great product. Excellent for a quick breakfast meal, with or without the muffin. I use Ham rounds that fit perfectly into the tray. Check the microwave timing because after only one minute my eggs are still runny inside. I use 90 seconds. I have bought 3 and given them away. I am now buying 3 more. Have used the microwave egg muffin several times since we got it. Makes really great fluffy scrambled egg "patties" quickly and easily. Does not need the milk added, but is great with cooked bacon pieces stirred in before baking. i think it's a great product. it works great. good stocking suffer for someone at christmas.or anytime. Love this product, so easy to eat eggs now. Great to use for fast breakfast, Just put eggs on English muffin and you hve a fast and easy breakfast. This works great. I love egg sandwiches and this is perfect. I use two large eggs scrambled. In my microwave, 750 watt, it takes 1 ½ minutes. Next I will add ham and cheese. Good size for bread or English muffin. Purchased this as an impulse buy but I am happy I did. Makes great egg sandwiches in the microwave without the usual explosions of egg all over the place. Egg stays hot and is thoroughly cooked after just 1 minute. Very inexpensive - I use it several times a week. This is perfect for a breakfast sandwich. Quick and easy. I used two eggs and bacon bites and it turned out nice and fluffy and delicious. This is one of my favorite cooking devices. So easy to make fun egg entree - often add a little dice cheese and ham. Eggs cook perfectly and clean up is easy! This is great when using any egg substitute like eggbeaters. Just pour in and add bacon bits ham cheese and stir. Instant omelet! Even with regular eggs or just whites it works great. The best feature is easy clean up. I love this microwave egg cooker. Had to buy a second one because the husband (who used to fry an egg every morning)found it and uses it daily. That meant I had to wash it before I could cook my eggs. Used this product several times. Eggs come out perfect. Very happy with it. When I purchased these I was afraid they would be too small to do anything with. Boy was I wrong. They are large enough to do a lot with! Plenty large to make whatever you want in them and still not run over while you walk it to the microwave. And they would take up a ton of cupboard space except they snap apart and nest so it really isn't that bad. Very well thought out. These are great for microwave or those 5 minute meal prep days. For a quick breakfest this is the way to go. We do a lot of camping and it comes in handy when you want a fast egg and biscuit and you can CHOW down on the fishing bank in no time flat. I love this cooker !! I had been looking for this and was glad to find it. Got one for Christmas gift for my sister . Perfect for making egg sandwiches on english muffins and my husband loves it on a bagel with sausage patties, I love it with just cheese. Make them every weekend, so quick and easy clean up. Get one you won't regret it. I'm into quick and easy meals and this looks like it will enable one! I gave this to my son while he was in college so he could create healthy breakfast sandwiches in a short time and then be on his way to class or work. He was interested in this type of meal so I tried to help make it handier for him. Make my own muffins with sandwich thins and egg whites! I didn't purchase this. I assume it is for the microwave and looks like it would be handy. Love this for adding leftovers topping with a slice of cheese after the eggs are done. Have sold 4 of these to other people. I just love this item. It is so easy to use and cleans up easy too. I would recommend it to everyone! I like to make breakfast as easy as possible. Product had great reviews. Good price. Free shipping. I like breakfast sandwiches and this makes it easy for english muffins. 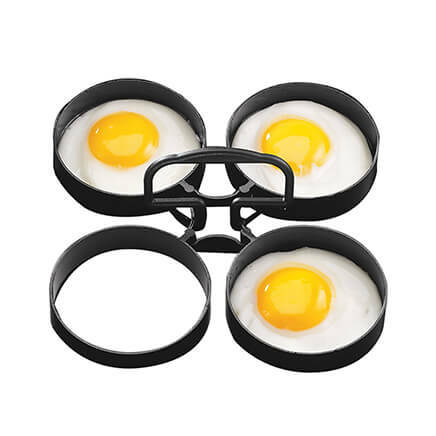 Perfect for making the egg that doesnt hang over the muffin on all sides. Thought it could be helpful in my kitchen. I had one for years, but lost it while moving. Used it mostly for egg sandwiches. Easy to use. Great product. I make microwave eggs for sandwiches and the dish I have been using cracked. Needed a dish to replace mine. My husband uses this every morning to fix his own breakfast. I have bought this item before,needed more of them,they work great. To save time and for convenience. I wanted to try this out and I love it. My son loves eggs in the morning, but I don't always have time. This works pretty well, you just have to make sure to spray it with non-stick stuff first. My step daughter uses this every day and I like it more then the vented plastic ones I have that may have BPA in them. Going to try these for work day breakfast. We have one and I have been looking for another one for the motorhome. Could not find in the stores. I love this item! It makes the perfect egg to put on English muffin. Convenient & delicious!!! Want to try a quick easy way to cook eggs. I am looking for utensil to cook eggs while family travels. easy to buy from catalog or online rather than driving around searching for what I want. •Before initial use and after subsequent uses, wash with hot soapy water. 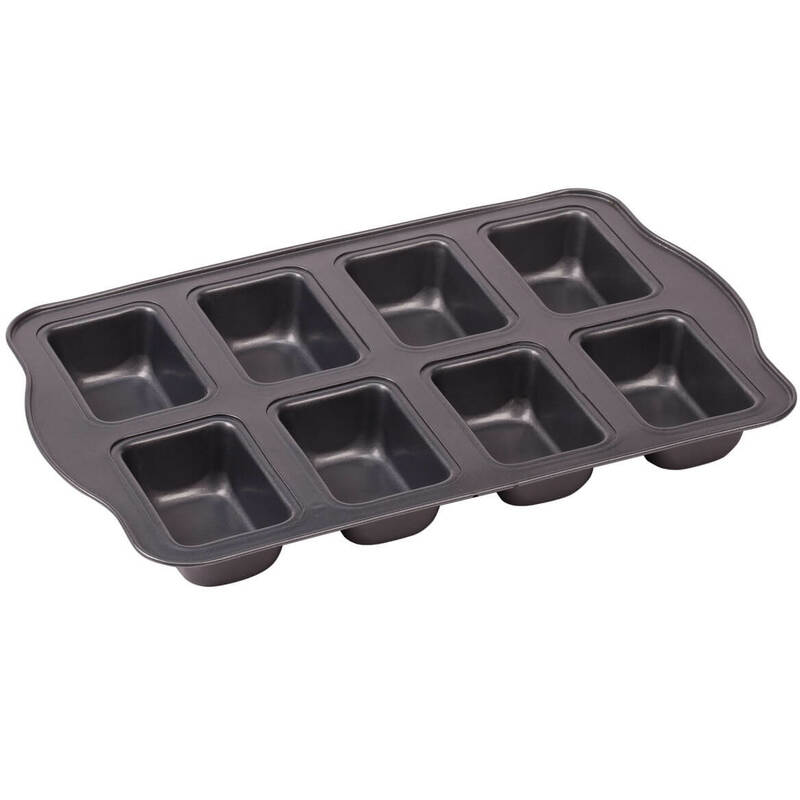 Crack one or two eggs into white compartment of egg muffin pan. Add 1 tbsp. milk, if desired, and lightly beat with fork. Place pre-cooked bacon, ham, or sausage in the egg mixture. 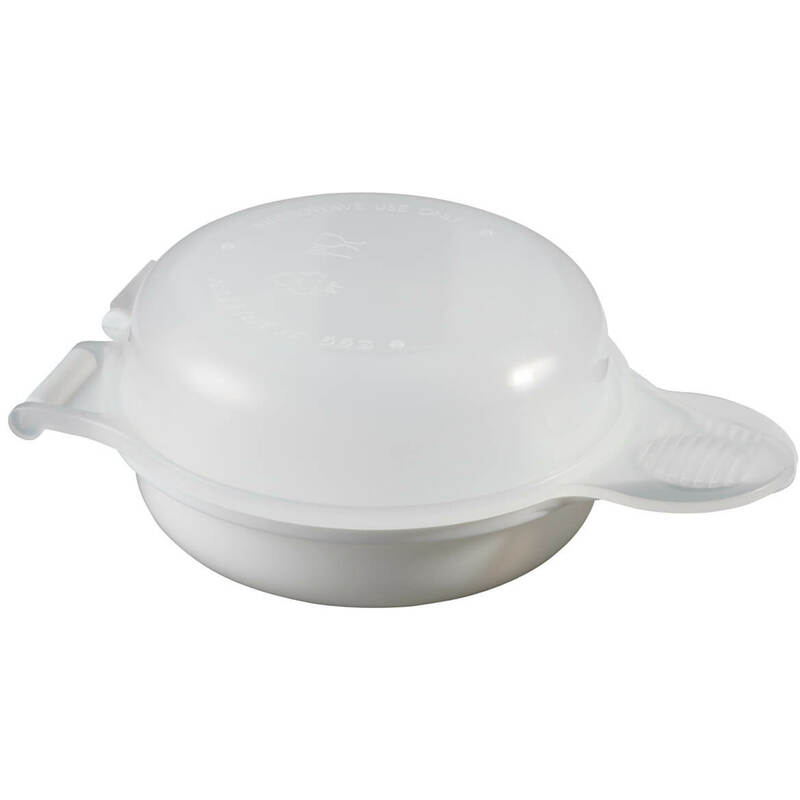 Close clear lid and cook in microwave on high for 45 seconds-1 minute or until done; microwaves vary. Serve on a warm English muffin, croissant or biscuit with a slice of cheese. How long to cook eggs in the microwave with the microwave egg mcmuffin cooker? BEST ANSWER: Thank you for your question. You should cook eggs for 45 seconds to 1 minute. Microwaves will vary on how long you should cook. We hope this information will be of help to you. i put two eggs in mine. Let it cook 1 minute. Open the lid if they aren't quite set 15 seconds longer. I love it. Bought four more for kids. 1 minute. I use mine a lot and have bought for others. 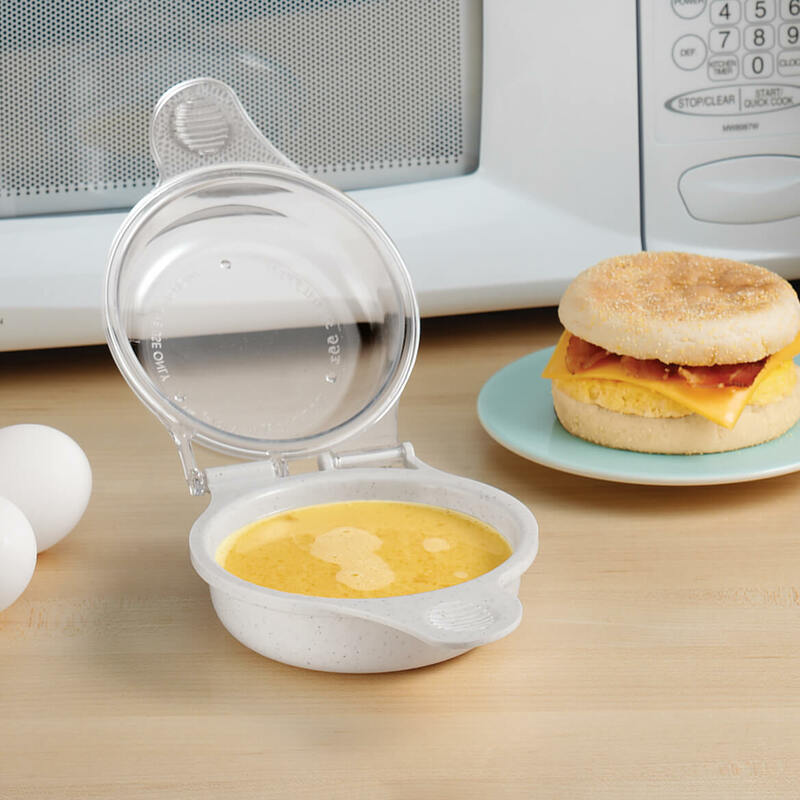 Is the Microwave Egg Muffin Cooker dishwasher safe? BEST ANSWER: Thank you for your question. We would recommend washing the Egg Muffin Cooker by hand. We hope this information will be of help to you. Yes...on the top shelf only. I take mine out before the drying cycle.